It took years. Years. But finally, Volvo introduced a second-generation XC90. Ramp-up, however, was slow. U.S. XC90 sales volume was very low in the first-half of 2015. Even the greater pace of nearly 1,200 XC90 sales achieved in July and September was lower than what the old XC90 achieved as recently as December 2010 and down 64% compared with the highs of 2004. 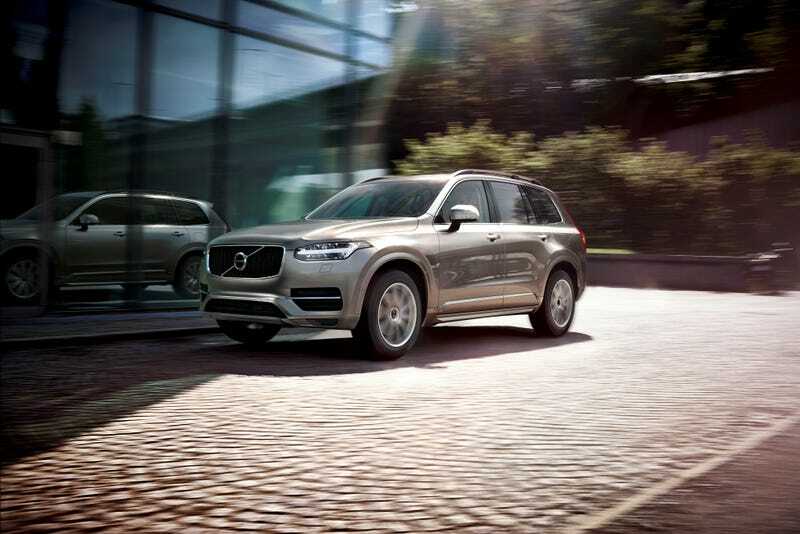 Yet Volvo just reported 2,565 XC90 sales in October 2015, the highest monthly total for the XC90 since 2007. Not since one month before Barack Obama won his first presidential primary has Volvo sold this many XC90s in the United States. October 2015 sales of the XC90 thus shot up to a 94-month high. The XC90’s 861% year-over-year improvement – skewed by the extreme rarity of the first-gen XC90 at the end of its tenure last year – produced an extra 2,298 sales in October 2015. With 2,565 XC90s sold in total, Volvo says the XC90 was once again the brand’s top seller, beating the rising XC60 by 653 units and Volvo’s top car, the S60, by 1,174 units. Together, the XC90 (accounting for 35% of Volvo’s U.S. volume on its own in October) and XC60 generated six out of every ten Volvo sales last month. How does the XC90’s October success fit into the overall SUV/crossover sector? Through the first ten months of 2015, the XC90 ranks only 78th among all utility vehicles with less than half the sales of rather uncommon vehicles like the Ford Flex and Mazda CX-9. But in October, the XC90 ranked 53rd. After generating only 0.1% of all SUV/crossover sales in America during the first three-quarters of the year, the XC90’s market share quintupled to 0.5% in October. Key rivals like the BMW X5 (4,292) and Mercedes-Benz GLE-Class (4,176) were still more popular. But the XC90 ranked ahead of the Lexus GX460, Lincoln MKX, Audi Q7, and Land Rover Range Rover Sport in October 2015; well ahead of the Porsche Cayenne, Land Rover LR4, and Volkswagen Touareg. Every one of those vehicles posted meaningful sales improvements last month, as well. So, it’s looking up for Volvo. True, they only sold 57 copies of the S60 Cross Country last month and only 1,318 wagons. But brand-wide, Volvo sales climbed beyond 7,000 units for the first time in more than three years. Rather than finding itself outsold by Scion and former PAG sibling Land Rover, as Volvo was in September, Volvo outsold Land Rover in October and roundly trounced Scion. And while it would be good for Volvo if their entry-level models became more popular, the fact that the company’s most expensive model was also the most common is sure to make the accountants happy.